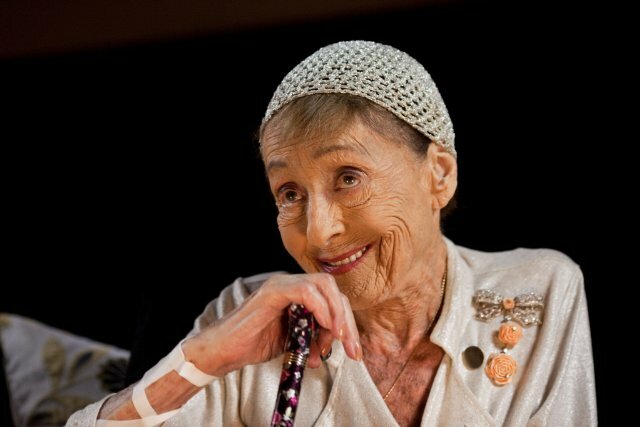 I first met Luise Rainer in 1998, only a few weeks after I’d seen her on the Oscars telecast, one of a unique group of previous winners invited back and put on display like bits of memorabilia to celebrate Oscars 70th. 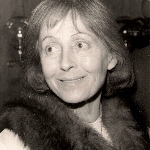 “Are you Luise Rainer?” I asked, already knowing the answer; even at 88 she looked like someone. “Yes…..” she replied, warily, cowering a little, “…who are you?”, with her German drawl intact, a sparkle behind the eyes, and a faint glimpse of pride at being recognised. Luise was never one for fame but I always sensed she did, occasionally, succumb to its entrapments. “Oh, it’s so great to meet you,” I blethered. “I’m a fan, I love your films,” I lied. My first meeting with the lady who would change my life, and I lied to her. 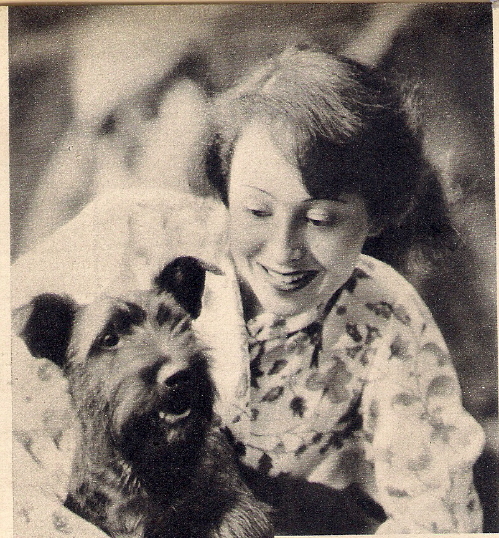 You see, until that Oscars ceremony I had never heard of Luise Rainer. When she appeared on my television screen, bracketed by archive footage of her two Oscar wins, I was presented with a real head-scratcher. A film fan for years, how could I not know who this was? I was immediately curious but unprepared for her to take over my life. I’ve always been a curious soul. In 1998 there was little if nothing written about Luise online. There was a listing on IMDb of a handful of films I’d never seen, but no Wikipedia page and no detailed biography. I think without this lack of information I would’ve moved on, happy to have met her. But her story was so incredible I couldn’t let it lie. From the outset I’ve been interested in telling that story first and foremost, with a secondary interest in the films she made. It seems strange to become a follower of someone without ever seeing any of their work, but that’s the way it happened with Luise. The obsession (and I use that word carefully) grew, I started researching, buying items from eBay, 1930s film magazines, interviews, books on similar subjects, and, of course, I had to track down the films. 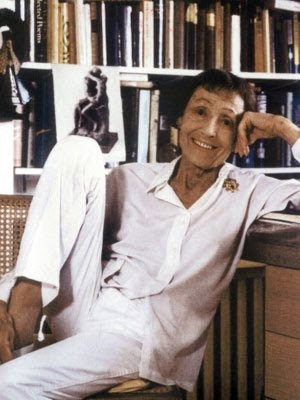 I gradually got to know Luise via this material; the trivia, the soundbites, the stories of her rise and fall were pored over and I was hooked. I found myself completely enraptured, as if spending 16 years reading an unputdownable novel, with every turn of the page discovering something new, opening another door to another corridor leading to another room in the labyrinth of Luise’s life. I’m not a spiritual person and neither do I believe in fate, however, that day and that sequence of events set in motion a peculiar course, unplanned but full of serendipity and opportunity. At that time I was working in the area of Sloane Square (from 1997 to 2001) and happened upon Luise numerous times in the months and years following our first meeting. I’d often see her from the top of the 137 bus and I’d have to restrain myself from shouting out, “Look! That’s a bona fide movie star right there, in amongst us!” It seemed random and crazy to just bump into her on the way home from work, but that’s the way it happened, time and time again. This randomness took a peculiar turn when I left that job and moved to the National Theatre on the South Bank in 2001. I remember seeing her running to catch a bus on Sloane Street (she would’ve been 91 years old by now) in the weeks before I moved jobs, and I do recall marking this as possibly the last time I’d see her. But how wrong I was; I’d only been in the new job a few weeks when she called, I answered the telephone and we met again. That’s just a coincidence, right? Celebrating her 100th year, at the TCM Film Festival in 2010. Luise was a regular at the theatre and we met a few more times, always professionally. The last time she visited (and the last time I met her) was in the spring of 2011 when she attended the opening night of Clifford Odets’ play Rocket to the Moon. The play has great significance for her, written as it was during the early months of her marriage to Odets and, it’s said to be the play he was working at on their wedding night, when she was banished to spend the evening on a Mexican beach, alone but for a troupe of circus performers. I’d invited her and I was pleased she could make it, even at 101. The year before, to celebrate her 100th, she had charmed an audience of hundreds in the Olivier Theatre when she spent 90 minutes talking about her life and career. All of us who were in the theatre that night knew that we were in the presence of someone who had really lived. Her energy and her resilience leapt from that stage, remarkably lucid and as vivacious as ever. Only a month earlier she had written to the theatre to say that she would be “absolutely unable” to make an appearance due to “failing health” and apologised but must “definitely decline” the invitation. What caused her change of heart I don’t know, but I will forever be grateful that she did. She once said that she grew too old too soon; at MGM she felt that she had aged well beyond her years and then spent the next 80 years getting younger, at least in heart and mind. She followed up this coup de theatre with an even more astonishing appearance at the Turner Classic Movies Film Festivals, defying not only age but exploding Icelandic volcanoes to be there. It’s a perfect example of her refusal to be cowed; like Louis B. Mayer, she dealt with her age and Eyjafjallajökull with flamboyant disinterest. understood, I hope, that I didn’t want a piece of her as a memento, I wanted to make sure she wasn’t forgotten or at least mis-remembered. Whenever I meet people Luise always comes into the conversation. I have bored many people witless with my tales of her life and times; I’m always enthusiastic but I do get carried away. She has been in my life for 16 years and it’s difficult to describe how I feel now she has gone. I thought about her often, almost daily, in what I hope was not an irrational way. I’ve learnt so much from her, indirectly, and she’s changed the way I think about my own life. Her passion and drive are exemplified by a life fulfilled. She may not have always been in the public eye but what does that matter? For her, living, really living, and loving, were the things to celebrate, not the ephemera. I am so very grateful for that chance meeting. Now, I will continue to celebrate a life lived, not a life lost.